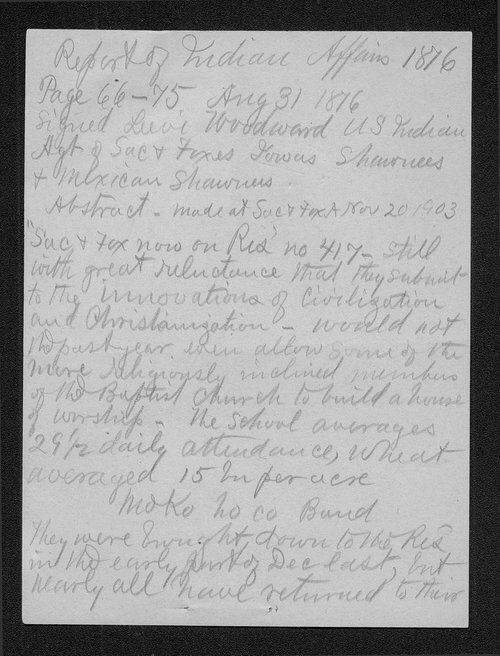 This item, copied by Charles R. Green from a "book at the Sac & Fox Agency Okla," indicates that the Sac and Fox tribe was living at Reservation number 417. U.S. Indian Agent Woodward indicates that it was with "great reluctance that they submit to the innovation of civilization and Christianization." Collections - Manuscript - Green, Charles R.